Whether you’re dreaming of winning a mountain stage in the Tour de France or planning a leisurely biking trip with your family, Vermont’s varied landscape lends itself to bikers and cyclists of all kinds. Lucky for visitors to Burlington, many trail heads and recreational paths begin in or near the city. 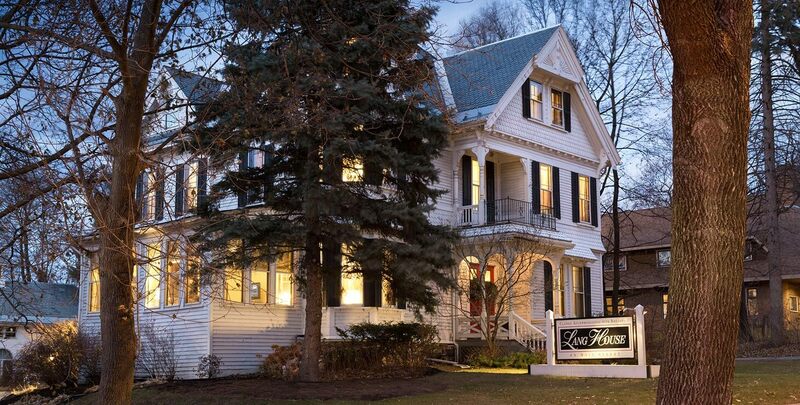 While we don’t offer rentals bicycles ourselves here at the Lang House on Main Street, we’re just a short walk from several of the most popular and reliable rental options in downtown Burlington. We also have a number of different maps and trail guides available to all our guests, and we’re happy to give you directions or tips on our favorite routes and rides. North Star Sports, located on the corner of Pine and Main Streets, offers a number of different hybrid and road options for men, women, and kids. The friendly staff has an extensive knowledge of bikes and biking around the state, and would be delighted to help you get oriented before you start your cycling tour. You’re welcome to rent a bike for anywhere from an hour to several days, with prices for adult bikes starting at $25/hour and $30/day. Local Motion is conveniently placed right on the bike path at the bottom of College Street. The nonprofit organization is at the forefront of advocacy for cyclists, hikers, walkers, skaters, and non-mechanical transportation of all kinds, frequently hosting events and town hall-style meetings to increase local awareness and get public input. Bikes available range from hybrids, to comfort bikes, to tandem bicycles and trailers for kids, and pricing starts at $18/hour and $32/day. Where to start?! Trails in the Burlington area range from short, flat, paved routes, to much longer trails that criss-cross counties and vary in terrain and slope. Here’s a peek into the diversity of northeastern Vermont’s biking options. 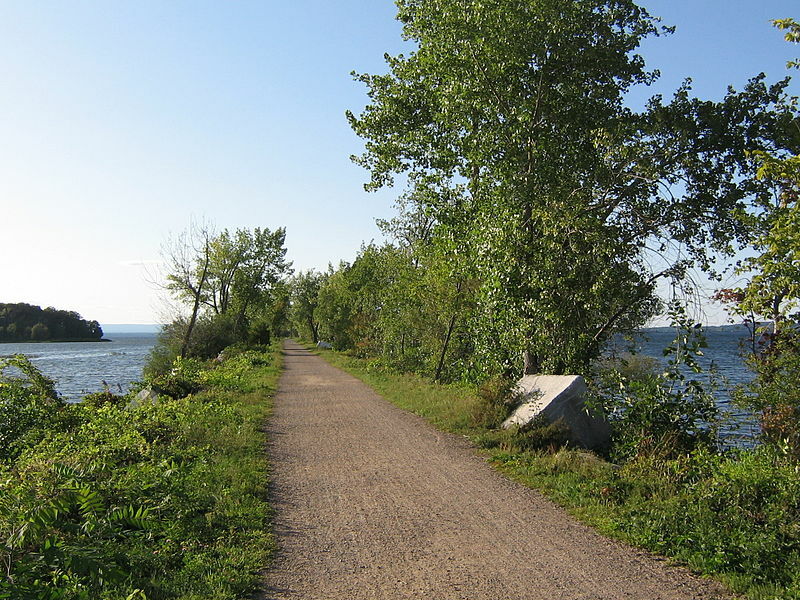 One of our favorite and top-recommended trails has to be the Island Line, also called the Burlington Bike Path, which goes from Oakledge Park all the way up to the bike ferry above Malletts Bay. The Causeway leading to the ferry is a thin strip of crushed stone trail that juts straight into the lake — nothing but water on either side! 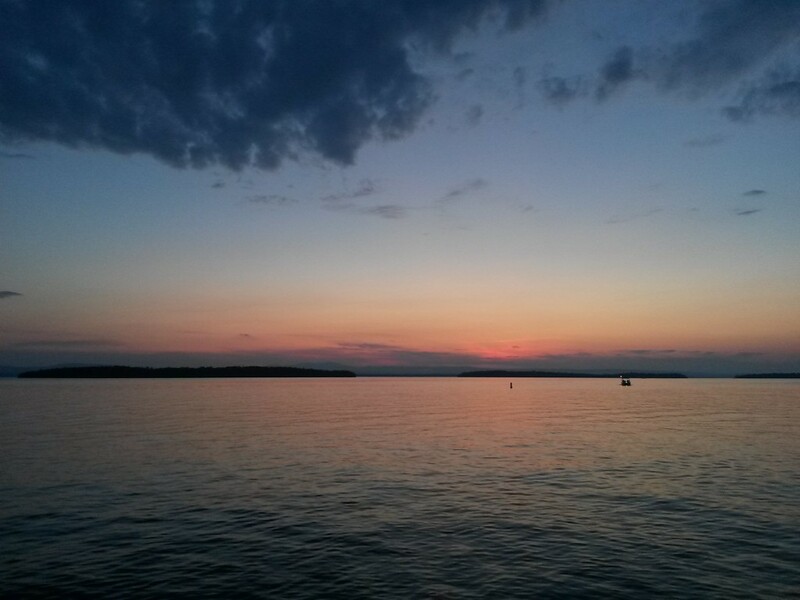 If you’re feeling ambitious, hop the ferry to the Champlain Islands and continue your journey. Looking for a longer loop of the city of Burlington? Try hopping on the South Burlington Recreational Path, which loops through the parks just south of downtown and back up towards the University of Vermont. It’s a great way to explore neighborhoods and get views of both the lake and the Green Mountains. Hinesburg, a town just outside of Burlington, is home to the “Old Town Forest,” a tract of over eight hundred acres of wooded trails open for hikers, bikers, snowshoers, and just about every kind of outdoors adventurer. Here’s their info sheet, as well as their map of easy to expert biking routes. Looking for longer loops outside of the big city? The Lake Champlain Bikeways Network has organized six loops within Chittenden County that allow intrepid travelers to roam some of our favorite small towns, like Shelburne, Huntington, Charlotte, Ferrisburgh, and many others. One of the six loops is the Cycle the City Route, which takes you through neighborhoods of Burlington off the beaten path of Church Street. Here’s a larger map of that loop. Here’s where things start getting pretty ambitious. If you’re feeling particularly daring, take a stab at the 200+ mile loop around the entirety of Lake Champlain, starting in Canada, looping around the southernmost tip of the lake, and snaking back up through the Adirondacks. Would you rather stay in the Green Mountain State for your long cycling voyage? Try the Cross Vermont Trail, a “patchwork quilt” of local Vermont bike trails sewn together to form twelve big loops around the state. Take just one or two of the loops, or seam them all together for a real adventure. Whether you want to travel one or one hundred miles on your trusty two-wheeled steed, Vermont’s got a trail for every kind of cyclist and bike rider. 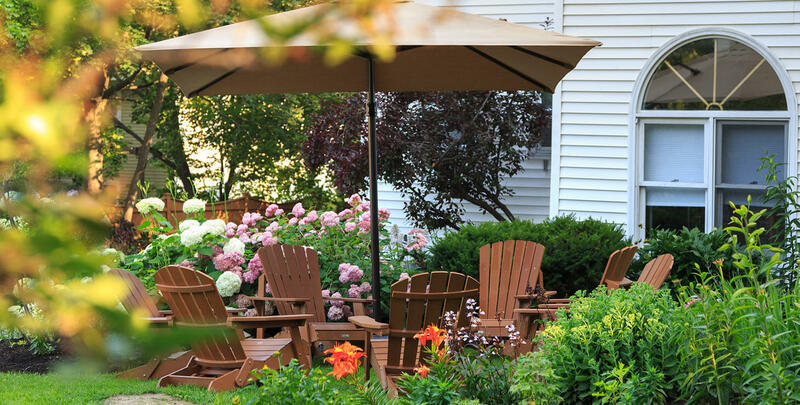 And here at the Lang House, we’d be ecstatic to help you plan your ideal biking vacation. 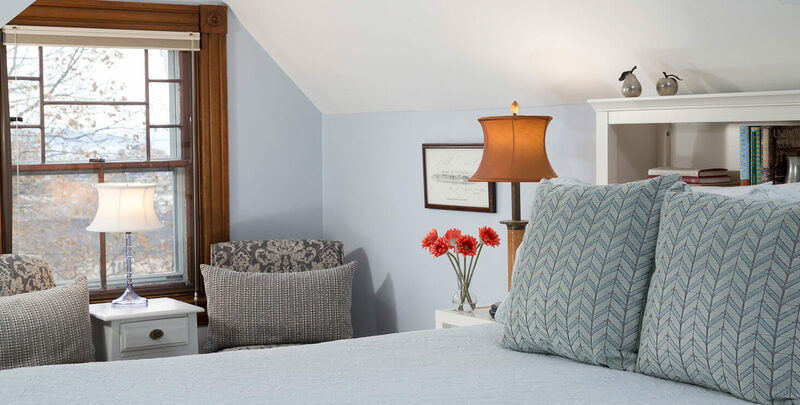 Check our availability by calling us at 802-652-2500, shooting us an e-mail, or booking online — and if you have any questions, don’t hesitate to ask! We look forward to seeing you out on the road! Allez allez!